﻿ Hastelloy C276 Refactory Anchors, Alloy C276 Refactory Anchors Exporter. 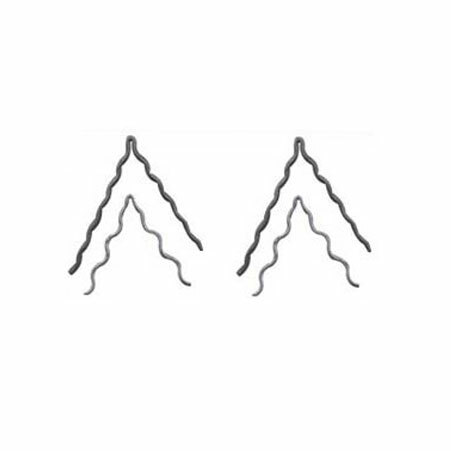 Alloy C276 Refactory Anchors Manufacturer, Hastelloy C276 Refactory Anchors Supplier, Alloy C276 V Anchors, Hastelloy C276 Y Anchors Supplier In India. We, at Amco Metals, nurture quality and reform to develop products that are instantaneous solutions to market demands. We provide our customers a highly reliable portfolio of goods, also helping them choose the ones that fit their requirements. We are an ISO 9001: 2015 certified company that dedicatedly offers client-oriented engagements to its customers. 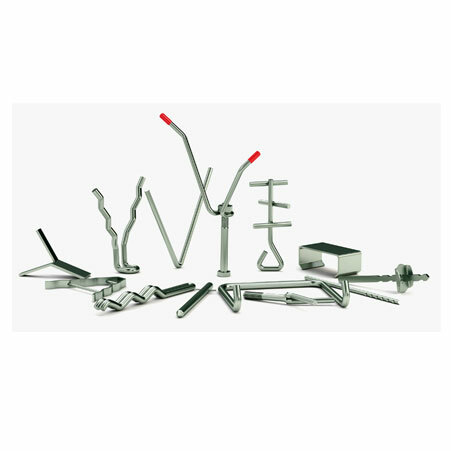 We are a manufacturer, trader, stockist, supplier, and exporter of Hastelloy C276 Refractory Anchors. A Refractory Anchor is a metal piece, formed in a particular shape, are used to hold an installed refractory product to the shell of the article being lined, usually a brick or a ceramic fiber lining. Our UNS N10276 Hastelloy C276 U-Refractory Anchors are best suited for the cement and petrochemical industry, they retain single and dual layer lining and require no special maintenance. We supply WNR 2.4819 Hastelloy C276 Customised Refractory Anchors to support refractories in the pollution and waste control industry. We have been in the industry over the span of 25 years inventing sustainable, economical and customizable products. 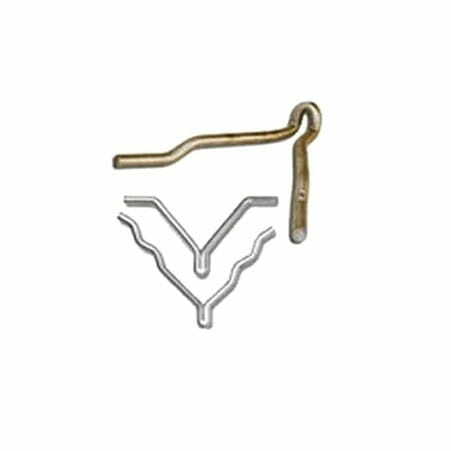 Hastelloy C276 WV Anchors Manufacturer, Alloy C276 Corrugated Anchors Exporter, Hastelloy C276 UV Anchors Supplier In Worldwide. Malaysia, New Zealand, Jordan, Angola, Namibia, Oman, Lithuania, Macau, Kuwait, Afghanistan, Austria, Azerbaijan, Hong Kong, Lebanon, Nepal, Hungary, United States, Philippines, Denmark, Gabon, Singapore, Ireland, Bhutan, Ecuador, Gambia, Yemen, Colombia, Italy, Argentina, Tibet, Iran, Egypt, Bangladesh, Germany, Iran, Libya, United Arab Emirates, Brazil, Mexico, Serbia, Zimbabwe, Belgium, Turkey, Sweden, Saudi Arabia, Czech Republic, Costa Rica, Indonesia, Netherlands, Kazakhstan, Venezuela, Canada, Ukraine, Poland, Russia, Japan, Nigeria, Iraq, Qatar, Bahrain, Bulgaria, Chile, Switzerland, Peru, Vietnam, Belarus, Finland, China, Ghana, Estonia, Nigeria, Morocco, Israel, Greece, Chile, Kenya, France, Mexico, Bolivia, Poland, Pakistan, Taiwan, Mongolia, Algeria, Croatia, Romania, South Korea, Trinidad & Tobago,Tunisia, Norway, Thailand, Slovakia, Portugal, Spain, South Africa, Australia, Puerto Rico, Sri Lanka, United Kingdom, India. Gimhae-si, Aberdeen, Jakarta, Port-of-Spain, Doha, Ahmedabad, Brisbane, Dubai, Mumbai, Manama, Jamshedpur, Haryana, Navi Mumbai, Jeddah, Noida, Istanbul, Ho Chi Minh City, Vung Tau, Thane, Pimpri-Chinchwad, Rio de Janeiro, Baroda, Dammam, New Delhi, Petaling Jaya, Busan, Bengaluru, Jaipur, Nashik, Lahore, Seoul, Indore, Vadodara, Ahvaz, Chandigarh, New York, Bhopal, Cairo, Sydney, Hyderabad, Singapore, Colombo, Chennai, Toronto, Perth, Courbevoie, Nagpur, Al Jubail, Ernakulam, Atyrau, Kolkata, Hong Kong, Sharjah, Abu Dhabi, Riyadh, Kuala Lumpur, Edmonton, Gurgaon, Caracas, Dallas, Thiruvananthapuram, Calgary, Milan, Al Khobar, Secunderabad, Howrah, Bogota, Bangkok, Kanpur, Lagos, Rajkot, Mexico City, Los Angeles, La Victoria, London, Faridabad, Surat, Moscow, Pune, Geoje-si, Melbourne, Ulsan, Chiyoda, Visakhapatnam, Santiago, Algiers, Muscat, Ankara, Ludhiana, Coimbatore, Granada, Kuwait City, Houston, Hanoi, Montreal, Tehran, Ranchi, Karachi, Madrid.